Attention: The motor must be in hot operating condition. Shake the can well before use! (Approx. 1 min) Dismantle the temperature, pressure sensor or access port on the DPF / catalyst and insert the probe through the opening. Spray the cleaner with the probe inserted into the particulate filter/catalyst in 5-second intervals until the DPF / catalyst is proper filled with the foam. Close the opening after application. When the cleaner has been applied the deposits are released and dispersed in the particulate filter/catalyst. During the normal drive operation the micro-fine dirt particles combust. Restart the regeneration process through a workshop tester. Finally remove the faulty memory entry or delete existing errors. Afterwards perform a test drive consisting of about 20 minutes. 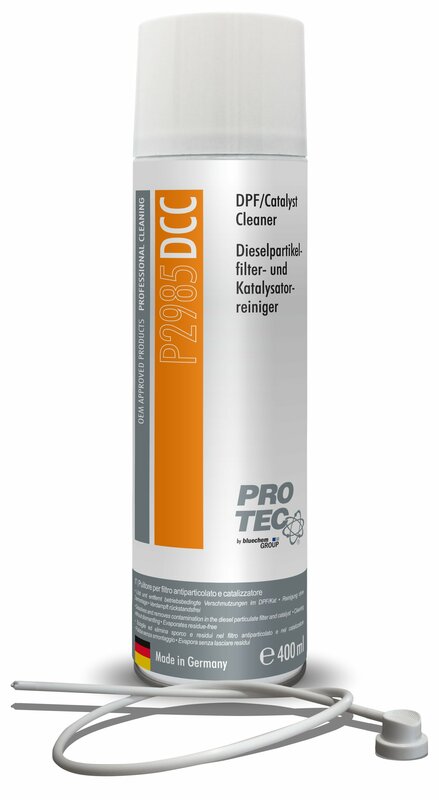 For an optimized regeneration in diesel engines we recommend to add the PRO-TEC DPF Super Clean (P6171 DPF SC) into the fuel tank after doing the test drive. 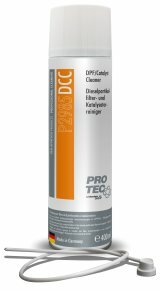 For petrol engines we recommend PRO-TEC OXICAT (P1180).